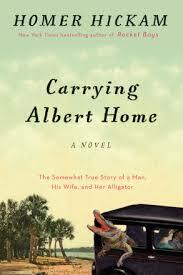 Carrying Albert Home by Homer Hickam. A somewhat true story of a man, his wife, and her… alligator? All the Stars in the Heavens by Adriana Trigiani. The author departs from her Italo-American family dramas for a Hollywood romance. The Diamond Caper (Levitt and Morales) by Peter Mayle. The off and on couple investigates a diamond theft.